High profile protected areas, World Heritage sites and Biosphere Reserves serve as “learning laboratories for sustainable development” and demonstration sites for new ways to sustain ecosystems, species and genetic diversity. The final session of the Community Ma-eul was introduced by Jessica Brown, a member of the World Commission on Protected Areas and an advisor to SGP on COMPACT. She outlined the structure of the workshop, which featured three presentations on COMPACT’s work in Belize, Madagascar, and the Philippines, before the presentation of key lessons learned from its twelve years of work. Background to the initiative was provided by Terence Hay-Edie of SGP, who detailed its beginnings in partnership between UNF, UNESCO and UNDP. Important aspects of the project’s methodology since its outset have been its long-term (15-year) vision of community empowerment and sustainability, and its use of the SGP decentralized funding model. 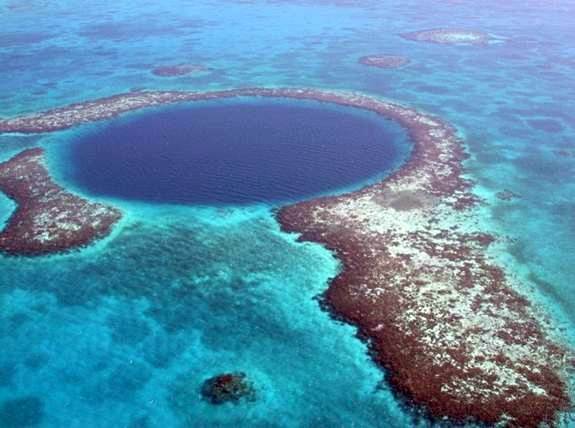 To date, more than 400 small grants (totaling around USD 10 million) have been given to sites working around eight UNESCO World Heritage Sites and Biosphere Reserves; some USD 6 million of this funding has come from UNF. Terence also picked out a number of successful characteristics of the project’s approach that he said had evolved through learning-by-doing, including the development of networks around PAs led by local “champions”, dissemination of information through bilingual workshops and publications, the engagement of sites in payments for ecosystem services schemes such as REDD, many innovations in monitoring and evaluation, and a pilot loan scheme backed by Conservation International and UNF. These examples of adaptive learning demonstrated the potential of the project to be replicated and scaled up. COMPACT is managed within countries by SGP National Coordinators and at the site level by Local Coordinators and Local Consultative Bodies – typically well-established NGOs that act as focal points for network development and provide support to community-based organisations. Vololoniaina Rasoarimanana, National Coordinator of SGP Madagascar, provided details on two sites where the project has been successfully implemented in the southwest of the country. A total of forty-four community sites are engaged in the management of the Mikea Complex Protected Area, north of Toliara, while thirty-five communities are working around the Tsimanampesotse National Park. More than 90% of grantees in Madagascar have been community-based organisations, indicative of the project’s grassroots approach – the emphasis is on achieving landscape-scale change, however, by engaging a high number of CBOs at each site. Results since 2008 include demonstrating how sound environmental governance can be secured through traditional contracts; many successful sustainable livelihoods projects; and the improved capacity of many groups in negotiation, especially important given the context of political instability that threatens many heritage sites. COMPACT in Madagascar has faced challenges, however, including unwillingness on the part of state authorities to recognize local organisations as competent resource managers. 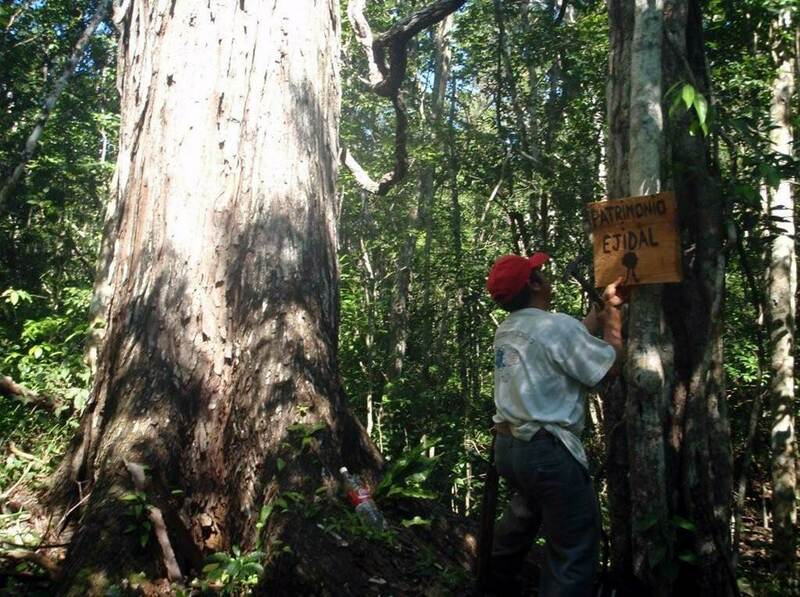 Site groups have had to achieve a degree of autonomy and establish their credibility prior to negotiating with protected area authorities – this has meant taking a “win-win” approach, demonstrating the mutual benefits possible from community involvement in resource management. This is well-illustrated by the work of communities working around the Puerto Princesa Subterranean River National Park in the Philippines, who have engaged in natural resource management as a means to gaining Certificates of Ancestral Domain Title. Bonifacio Tobias, a Local Coordinator for SGP COMPACT, introduced a Photo Story on this work. Finally, Nellie Catzim presented on the experiences of the Southern Environmental Association (SEA) as a COMPACT partner in management of the Belize Barrier Reef Reserve System. 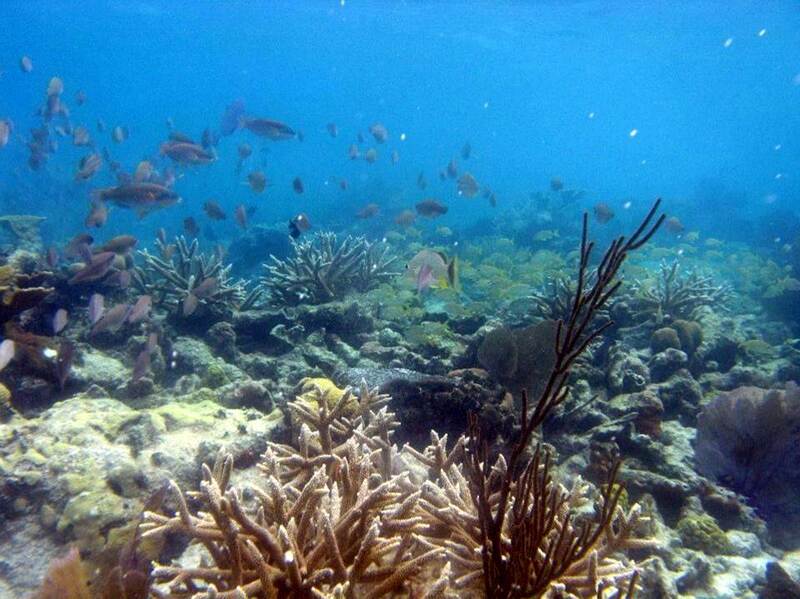 The site comprises seven MPAs managed by both government and NGOs. 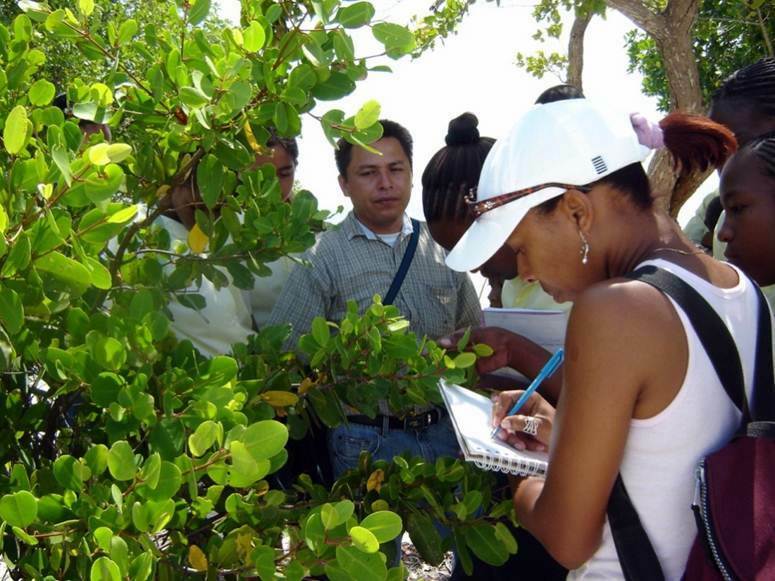 As one of these NGOs, SEA is responsible for enforcement, public use management, educational outreach, and scientific monitoring and research, as well as working as a focal point for eight local communities. 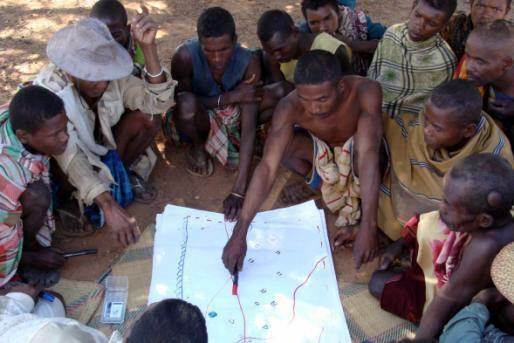 This support has focused particularly on capacity building, with the result that local fishers have been able to provide direct input into management decisions on the expansion of a no-take zone, community stakeholder consultations, establishing priority areas for full protection, mapping of proposed areas, and developing alternative economic activities such as ecotourism. The result is a model of “true community stewardship”. COMPACT’s landscape approach, illustrating that it is possible to achieve change over a large geographical area through targeted small grants investments. A methodology rooted in both science and culture, and guided by adaptive planning processes that are highly participatory. Harnessing the power of synergy, by supporting a cluster of activities through provision of small grants, capacity-building, networking, and marketing support. Building on the strength of SGP, such as a strong commitment to transparency and accountability, at the scale of a protected area. Large-scale evaluations have previously found that SGP grantees have a high degree of resilience, implying that benefits can be sustained beyond project funding cycles. Institutional structures that are based on principles of sharing power: community-led initiatives require trust, flexibility, patience, transparency, and participation. The implications for scaling future initiatives include keeping lessons close to the protected area, tracking progress over time and building outward across the landscape; local coordinators and local consultative bodies can play a critical role as facilitators in these processes, and have potential for other types of protected area management COMPACT is currently exploring the idea of involving UN Volunteers and US Peace Corps Volunteers in providing training for these roles. 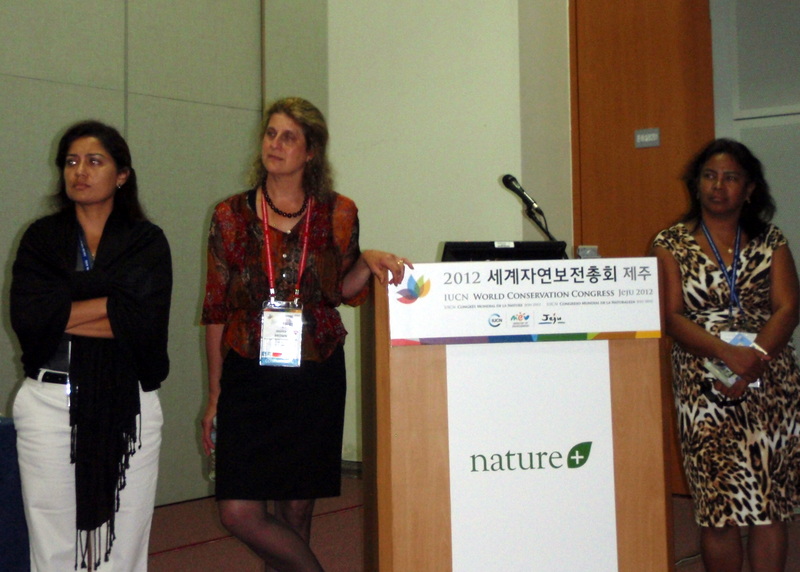 Jessica also offered lessons for IUCN regarding World Heritage Sites, including the need to learn from site-level initiatives, embrace a diversity of governance types, and strengthen partnerships with local stakeholders. These could manifest themselves in IUCN supporting and advising the UNESCO World Heritage Centre on governance building, tapping IUCN’s global membership and regional structure to encourage greater civil society engagement in protected area management, and thinking in terms of broader landscapes. A different perspective on civil society engagement in management of marine protected areas came from Verena Treber, of Go4BioDiv, a relatively new initiative led by GIZ, IUCN and UNESCO targeting 25 World Heritage sites across five continents. Since the COP 9 in 2008, this project has brought youth representatives working in conservation to international forums to learn from one another, develop their capacity, and input into policy processes. In 2012, 35 young people from marine sites around the world, many of them World Heritage Sites, will attend the forthcoming COP 11 in Hyderabad, India. Two representatives from Belize will be supported by COMPACT; all of the delegates will spend ten days living in the Sundarbans mangrove forest alongside forest guards. The young people involved in this programme have all expressed what it means to live in and around protected areas; many of them have experienced transitions from the traditional fishing and harvesting livelihoods of their families to more sustainable practices. These different perspectives on the successes and challenges involved in local management of protected areas informed a lively discussion, bookended by remarks from discussants Guy Debonnet (Chief, Special Projects Unit, World Heritage Centre) and Timothy Badman (World Heritage Programme, IUCN Global Protected Area Programme). Guy described how the World Heritage Centre’s engagement with local communities has evolved during its existence, especially with the realization that local communities can often be the best defenders of protected areas against emerging threats from extractive industries. 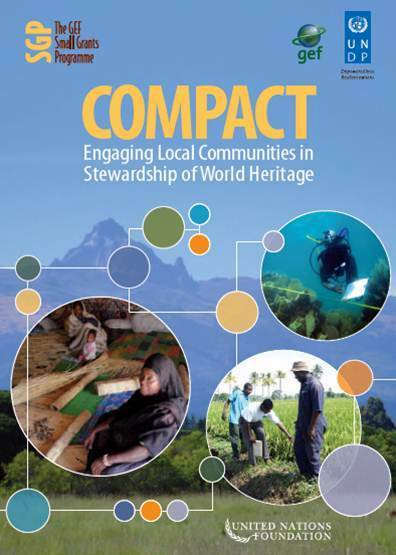 Another threat is from growing population pressures; as a result, the centre has developed ‘serial sites’ models, in which World Heritage Sites are made up of smaller components: COMPACT offers a means of engaging communities in managing these efforts. In terms of challenges that still face the project, discussants noted the capacity of local government to either facilitate or constrain the work of co-management efforts; the financial sustainability of community sites; dealing with poaching from external communities not supported by COMPACT; and the threats posed by extractive industries. There are also lessons to be learned from the use of ecotourism as a tool for ensuring local livelihoods – this tends to work best in relatively small populations, when livelihoods re-training offered to local people takes advantage of their existing skillsets, and when the returns make it a viable alternative livelihood activity. Terence also discussed efforts to improve streaming of revenues from World Heritage Sites and other protected areas into supporting COMPACT initiatives, ultimately replacing the need for funding support. The final word went to Timothy Badman, who celebrated COMPACT as an urgent and necessary complement to the work of the Global Protected Area Programme. After all, World Heritage Sites are not simply about conservation or protection: they are about inspiration, and achieving both economic and social results for local populations. The challenges faced by the World Commission on Protected Areas in this field call for the involvement of a wide range of partners, chief among them those who benefit most directly from protected areas, and are best-positioned to ensure their long-term sustainability.